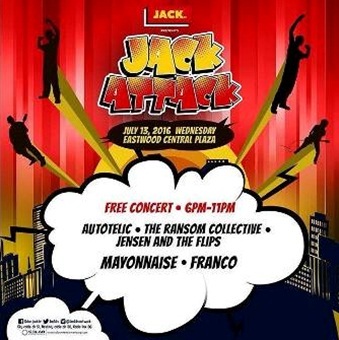 Why you should go: An attack of awesome music will be headlined by Franco, Mayonnaise, Autotelic, The Ransom Collective, Jensen And The Flips. Don’t miss this free concert in the plaza! Other details: Concert starts 6 p.m. Free entrance!